Ryder Derek Haderlie was born October 30, 2003 at 9:07 p.m. just a few hours before Halloween. 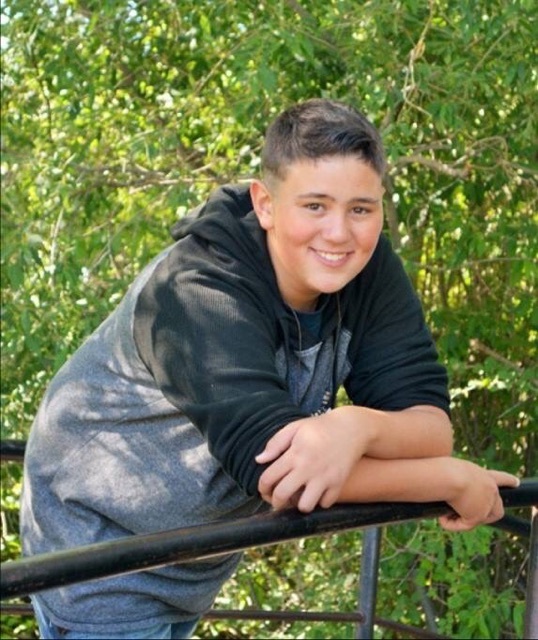 Ryder passed away on September 13, 2018 at the age of 14 after succumbing to his head injuries from a tragic accident. He was born to Derek and Shandi Haderlie of Afton, Wyoming, and was greeted by an older Sister Taylor. When he was 1 he spent almost 6 months living in a camp trailer and in the garage while our home was being built out at Broken Arrow. Ryder, as a baby was a kind, cuddly boy and had the most infectious smile, something that never left. After 3 years of being the baby his brother and partner in crime joined the family, Brock. Ryder, even from an early age put other people’s needs before his own. On the playground, he would seek out the kids in need of a friend. He was very involved in scouts earning his Arrow of Light. 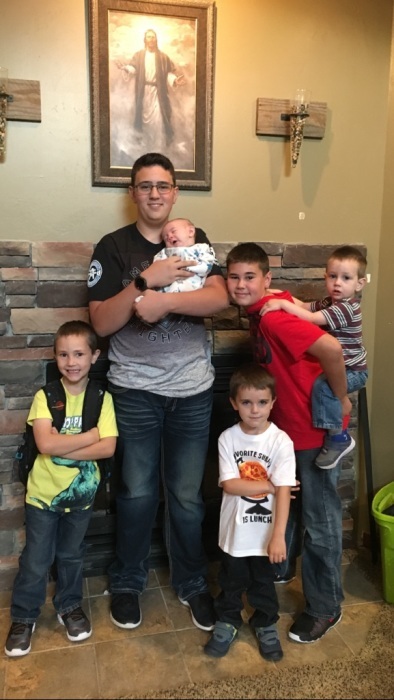 He then went to the Boy Scouts, doing everything on his own, and was about to begin his Eagle Project building bird nests for Lower Valley Energy. At the age of 4 Ryder endured the hardest thing anyone ever could. He had to say goodbye to his Daddy Derek, as his Daddy Derek slipped away to the next life in 2008. At times his pain was so deep he would just cry in his mommy’s arms. He had comfort in knowing he would see his Daddy again and that he was named after him. 10 months later God sent Ryder a very special gift. A new daddy. Daddy Dave. Daddy Dave (Major) brought a whole new light to our family. Ryder opened up that huge heart of his and welcomed him into the family. In the years after that Ryder was blessed with 4 other brothers: Kiptyn, Taveta, Dresdyn and Carver. He loved all of his siblings so very much and was very protective of them. Ryder was the best baby sitter anyone could ask for. Ryder had a heart of gold. He would do anything for anyone. At service projects he was always the first to start and the last to end. He would always help his teachers or lunch ladies at school even at the expense of being called a nerd. Early on Ryder discovered he had a talent in music. He played the trumpet, trombone, drums and sousaphone. 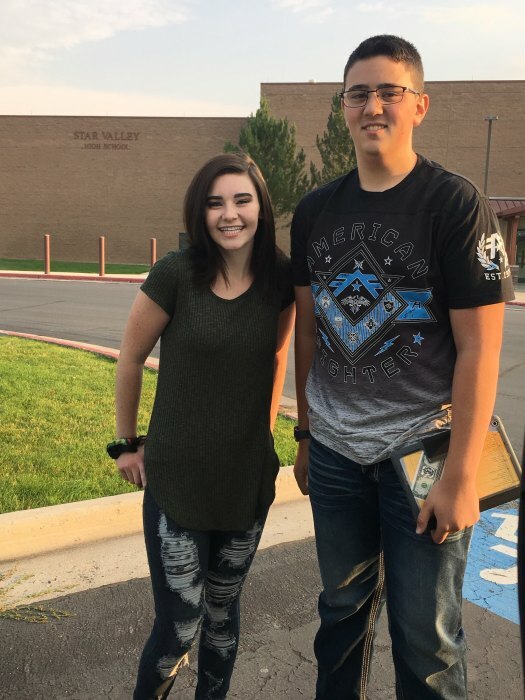 Ryder just entered his freshman year and was excited to be a member of the band and Jazz Band. Ryder’s 1st job was working alongside his uncle Dustin and Papa Alan for Triple H Landscaping. He even got to help landscape the Star Valley Temple. A memory he held dear to his heart. Then he started work at the Skyview Lanes in Afton working for his Aunt Kris. Ryder learned a lot of valuable lessons at this job. He then found a passion for bowling and had just started bowling on a league with his grandma Connie and his mentor and friend, uncle Kalen. Ryder was such a trooper, heading out with his Daddy Dave and brothers on many fishing trips and hunting excursions. Ryder earned the year round camper in scouts even on nights when it was well below zero. On the last day of his life, Ryder saw a friend in need and went to comfort them. That was Ryder. Ryder was a member of the Church of Jesus Christ of Latter-day Saints. He held the Aaronic priesthood and took it very serious. He served in his callings with full faith in the Lord. He was in the church Choir. He attended the temple quiet often to do baptisms for the dead. He had a very strong testimony of our Savior Jesus Christ and in the plan of salvation. Ryder was preparing to serve a mission. It is with great pride that we tell you that Ryder has been called to serve his mission in Heaven. Ryder is survived by his father and mother, David and Shandi Major of Smoot, his siblings Taylor, Brock, Kiptyn, Taveta, Dresdyn and Carver. 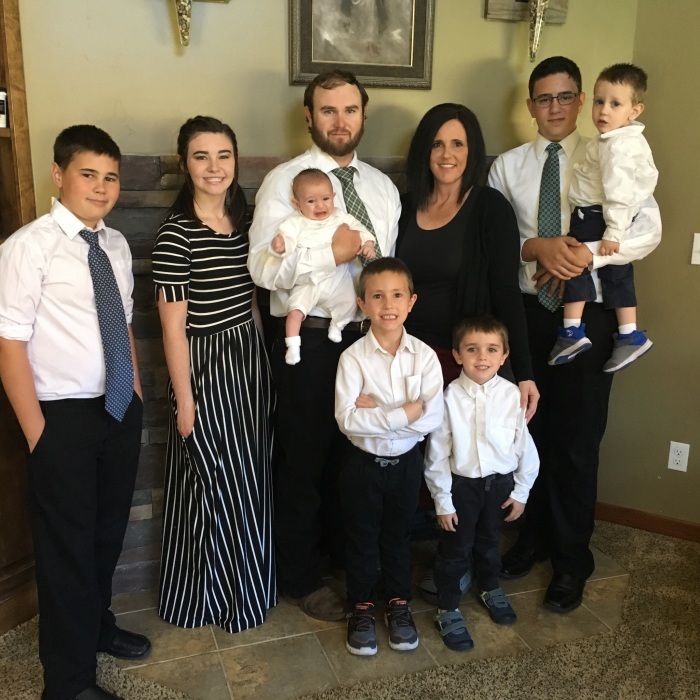 His grandparents: Alan and Valerie Haderlie of Afton, Connie Williamson of Afton, Mark and Debra Jacobs of Montpelier, Idaho, Julie and Lyndell Smith of Afton, Kent and Alice Major of Colorado. Many loving aunts and uncles and cousins. He is preceded in death by his Father Derek Haderlie, his grandfather Dee Booth, his aunt Decia Haderlie, uncle Skott Vigil, cousins: Brady Tanner, Halie Lowe, and Olivia Currier and many great grandparents. An account has been set up at the Bank of Star Valley in Afton, Wyoming under the name of Ryder Haderlie Family. P.O. Box 8007 Afton, Wyoming 307-885-0000.